First, we must take note of Basant Maheshwari’s credentials. In the great stock market crash of 2001, Basant lost all his wealth and was on the brink of insolvency. How he managed to claw back from that debacle is a fascinating story in itself which tells you that this is a man of grit and determination, with a never-say-die attitude. His strength of character is revealed by the fact that while most people would have crumpled to pieces after such a disastrous experience, Basant used the opportunity to identify his weaknesses and re-invented his stock picking approach. A slight tweak to his investment strategy meant that Basant had discovered the secret formula to finding multi-bagger stocks. A consistent track record of finding multi-bagger stocks like Page Industries, Hawkins Cookers, Titan Industries, Gruh Finance, HDFC Bank etc, etc tells you that this man knows what he is talking about and that you should pay attention to his words of wisdom. The other remarkable aspect is that while there are several other stock wizards who have discovered the secret formula to finding winning stocks, few would be prepared to share it with you. Basant is a refreshing exception here. He is not only prepared to share his stock picks with you, but also the technique that he used to home in on the stocks. It is no surprise that the book reflects another aspect of Basant’s personality – clear and confident thinking. All the facts and figures are stated in a logical manner and the proposition is made with clarity in simple language. Basant offers valuable practical advice on a number of issues. For instance, one issue that frequently arises is whether a stock that has seen a rapid price increase and which is at its’ 52 week high should be bought or not. Most investors (me included) feel jittery of buying such a stock in the fear that all the juice has already been drained out. However, Basant rubbishes this fear by pointing out that “A small or mid-cap stock which gets into a fresh 52 week high does not stop at that but continues the trend and generally doubles in the next 12 to 18 months …. Once a stock moves into a new high it goes further up rather than collapsing down as most amateurs fear”. “Wealth is also made by buying high and selling higher, a strategy shunned by most investors” Basant adds. Another dilemma that investors face is whether to have a concentrated portfolio or a diversified portfolio. By default most investors end up with a highly diversified portfolio because of their lack of confidence in any particular stock. Here again, Basant conducts a brilliant analysis of the merits and demerits of a concentrated portfolio vs. a diversified portfolio. “A 15 bagger with a 3% allocation makes a career but a 15 bagger on a 30% allocation can make a life” he says and adds with a sense of pride in his voice that “I learnt the art of betting big very early and have made all my money in just 6 stocks”. Basant also gave a talk (see embedded video) where he elaborated on the theme of a concentrated portfolio. He emphasized that the one important aspect investors of a concentrated portfolio had to ensure was that all the stocks are of secular growth companies (and not cyclical) and are leaders in their sector. On the aspect of risk that one faces in such a portfolio, Basant explained that if one chooses 5 stocks that were growing at, say, 25%, then even if one stock pick went horribly wrong and resulted in a 100% capital loss, the growth of the remaining 4 stocks would cover the loss. 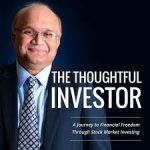 Of course, the dominant theme of Basant’s advice was that you have to be extremely careful while selecting your stocks because the margin for error in a concentrated portfolio is low. There is an interesting chapter on “how to pick winning stocks”. Basant points out that amateur investors get it wrong because their classic psychology is to “want to buy and sell today’s stock at yesterday’s price”. “Trying to find the best businesses at the lowest valuation is an exercise that remains unaccomplished almost all of the time”, Basant warns. He suggests that investors should give up their obsession for price (P/E) and instead focus on larger issues affecting the stock’s future if they want winning stocks in their portfolio. 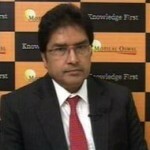 Basant also warns against price anchoring that investors suffer from. He cites the example of Sun Pharma as a stock where “it was never too late to buy this growth machine but investors kept focusing on how much it has moved in the past rather than how much it could move in the future”. “High quality stocks rarely become cheap so trying to buy them as bargains is a strategy that never works” Basant adds. Basant has explained what to look for in a winning stock with practical examples (e.g. Symphony with an asset-light model, Amara Raja, TTK Prestige with a duopoly, Titan – scalable opportunity). He also refers to other important aspects like integrity and ability of the management, the extent of debt, market share, sector leadership, ROE, cash flows, operating history etc that investors have to watch out for. There is also a section on how companies manipulate their accounts. The part on the stocks to avoid (e.g. outperforming cyclicals, unproven micro-cap stocks, serial equity diluters, leaders of the last bull run) is also quite enlightening. Basant also gives practical examples of how buying blue-chip powerhouse stocks like HDFC Bank, Sun Pharma, Asian Paints, Infosys, ITC, Gruh Finance etc can hold an investor in good stead even in bad times. These stocks don’t lose much value even in a bear market and are the first to rebound in a bull market he says and adds that “A good business is more important than a good valuation as inferior businesses can destroy good valuations whereas a good business can mend bad ones”. 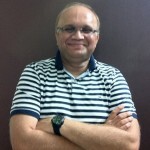 Basant also advices that investors should hold and stay put with secular large cap compounding stocks. “There should be no reason to take money off the table as these growth machines continue to compound year after year” he says. Basant is very candid about the several mistakes that he made of buying wrong stocks and not getting out in time. A vivid and graphic description of each experience is given. “Not selling a stock with deteriorating fundamentals just because the market price is below an investor’s purchase cost is the worst of all possible reasons to hold onto a stock. An investor who is not keen on taking a small loss in spite of a change in the economic setup of his stock generally pays up with a bigger one” he says. There is also an elaborate section on the stocks that were on his radar but which didn’t get bought for various extraneous reasons. The lessons that he learnt from these mistakes of omission and commission are nicely spelt out. Basant cautions investors against ruing their losses & missed opportunities. “Markets are like a river and opportunities come and go like flowing water. An investor should understand that missing an opportunity isn’t necessarily the end of the world for him because another one will come much sooner than what he expects it to” are Basant’s sage words of wisdom. One thing that came as a revelation to me is Basant’s heavy reliance on borrowed funds even for long term investments. I always thought that only traders used borrowed funds for short term punts. Basant has given a convincing explanation on how borrowed funds can super-charge your portfolio. However, as is evident, this is not for everyone. You need clear-cut and decisive thinking to be able to take advantage of leverage. Also, you must have super-high conviction that the stock will be able to give you a return that is higher than the interest paid on the borrowing. Basant himself sends a grim warning on the use of borrowed funds: “A leveraged portfolio in a falling market is like a hand grenade with it’s pin pulled out”. One adverse aspect of using borrowed funds, that Basant does not refer to, is that the income-tax department can brand you a “trader” in stocks (and not an “investor”) and treat your long-term and short-term capital gains as “business profits”, with disastrous consequences. So, if you are planning to use borrowed funds, make sure you have a separate Demat a/c, separate broker, etc for these stocks. Basant criticizes the tendency of amateur investors of selling a stock in the hope that he will be able to buy it back lower. “Selling a stock to buy it back later on a slight dip isn’t the optimum way to get rich but is surely a nice way to get rid of stocks that will make an investor rich” he says in a sarcastic tone. Basant also gives examples on why this approach is not at all a good idea and does not lead to much gain. If you the type who likes to get his hands dirty and do his own research, Basant has provided a ready-made check-list of things that you need to look at before buying a stock. One aspect that I found surprising is Basant’s admission that he has never bought a Pharma stock in his life. He calls Pharma companies “lottery tickets with their ANDA filings and US FDA regulations”. 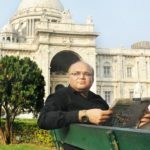 I suspect Basant is suffering from a mental block caused by some early-life bad experience because otherwise it is difficult to appreciate that someone with that intellect level would have completely bypassed a sector which is so easy for everyone else to understand and which has given super-duper multi-bagger returns. Basant anticipates the criticism and defends himself by citing Warren Buffett as an example of how one can completely shut out an entire sector of stocks from consideration and still do very well in life. The book is not without its limitations. For instance, the part on valuation of stocks is sketchy. It would have been better if Basant had given a few practical examples of well-known companies to illustrate the theoretical concepts of valuation. At the same time, the part on historical bubbles/scams like the 1637 Tulip scam etc appear to be irrelevant and add little value to the investors understanding. Instead, Basant ought to have discussed contemporary scams like the Harshad Mehta scam, the Ketan Parikh scam and the NSEL scam in detail since these scams have had great adverse impact on the stock market and on investors’ sentiment. At the end of the day, there is no doubt that the book is well worth your time and money. 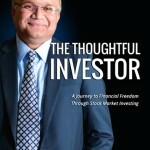 There are several aspects to the book that will fire your imagination and turn you into a “thoughtful investor“. This is by far the best book ever written in the context of investing in Indian markets. This is indeed one of the best books I have ever read on stocks particularly in the Indian context. A must for every investor who look for multibagger stocks !! What he meant is since leveraged portfolio is treated as short term loss / gains, Income tax benefits on long term capital gains does not imply on a such a portfolio. You have to by default pay taxes assuming Gains / Losses on leveraged portfolio as Short Term Capital Gains. So if you plan to have a long term assets portfolio as well as some portfolio on leveraged money, its best to separate the two into two different demat accounts.